Harry and Matthew are having their christening in November. For one reason or another, it has taken until now to get round to it. 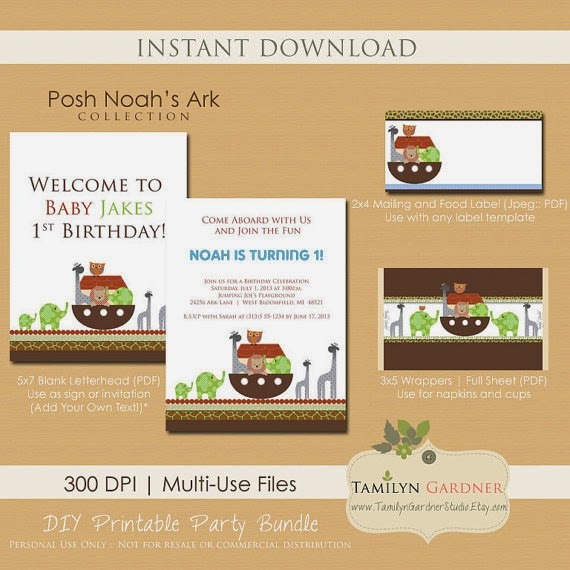 After searching through pinterest for unusual ideas for a party theme, I have found a package which is sold on Etsy, called Posh Noah's Ark. 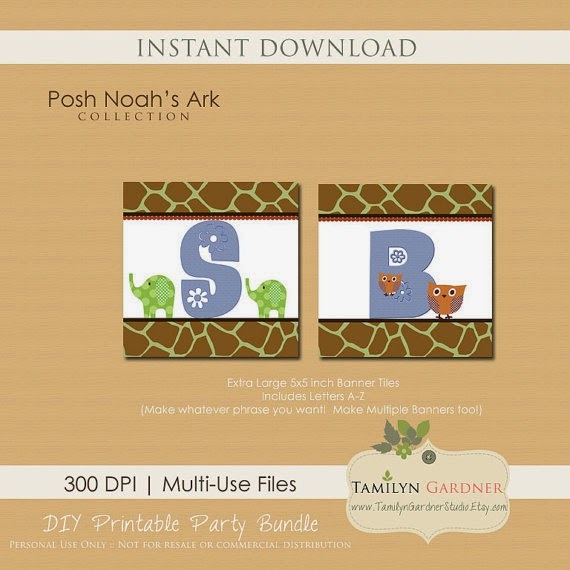 It is an instant downloadable file, which is great for me as I like adding my own personality to the finished article. I think this theme will fit us perfectly for 2 reasons. The first being age. Harry and Matthew are now 18 months old and some of the commercially produced christening items didn't seem to fit the bill. The second is the 'two by two' idea. I can't wait to get making these items. Look out for a future post where I will show you what I made. 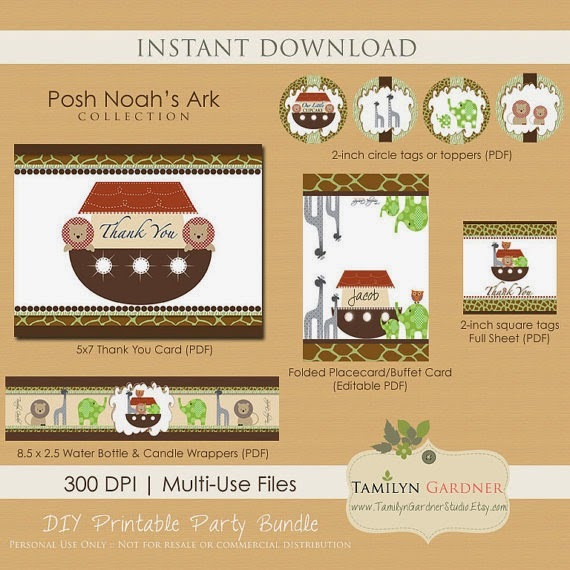 Check out my Noah's Ark board on Pinterest.